I rescued these from my sister today - any idea what they might be?? They look like habaneros or scotch bonnets. Handle with care. Yikes. I’m a bit scared of scotch bonnets!! They make for a killer hot sauce, if that’s your thang. The heat and taste profile is also distinctively different also as Habeneros offer a immediate burn up front and quickly dissipates while Scotch Bonnets burn slowly builds and keeps building until the point where it becomes unbearable to most. 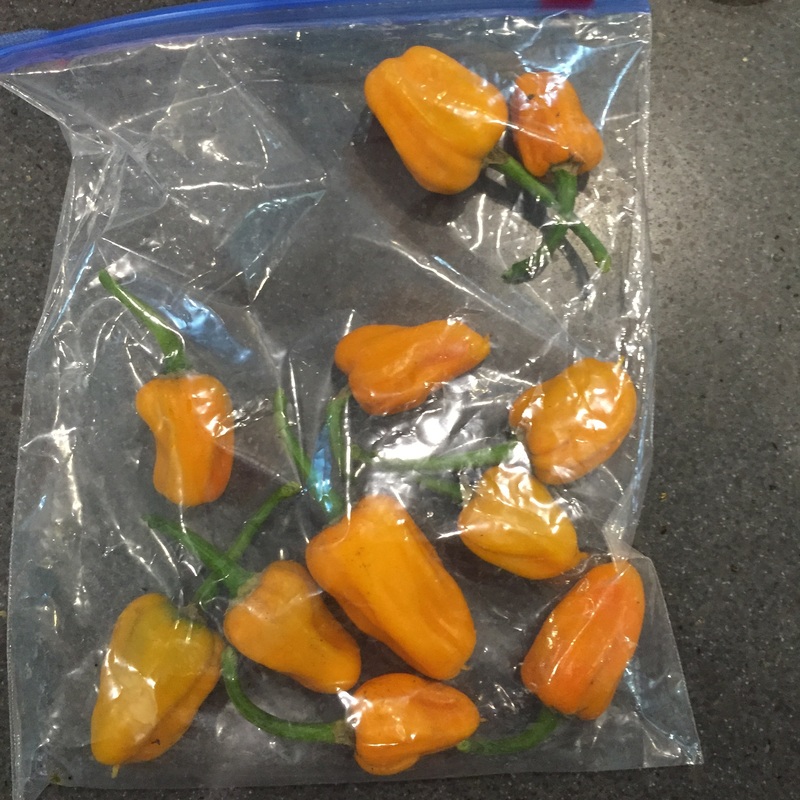 I grow up to 50 types of hot peppers each year, half medium hots in the cayene family and the rest hots like habanero’s and super hots like ghosts and Carolina Reapers (worlds hottest). It’s very hard to tell with home grown hot peppers from seed since they almost never grow true, due to open pollination from insects. I would say that they definitely are not traditional scotch bonnets, since they aren’t squat enough, nor regular habanero’s due to the lack of definite folds in the flesh, although some habanero’s don’t have many folds, and some scotch bonnets are elongated. Although they are most probably partially in the C. Chinense family like those two. Although they look like a mini-yellow bell, but are not if they are hot. Since they are from a seed, and originally thought to be a sweet bell they are almost definitely an unknown habanero/yellow bell hybrid. I’m not sure he grew them as a sweet bell, more likely he bought as a young plant and only read the word ‘pepper’.